Orlaya, Cornflowers, Salvia & Candytuft. 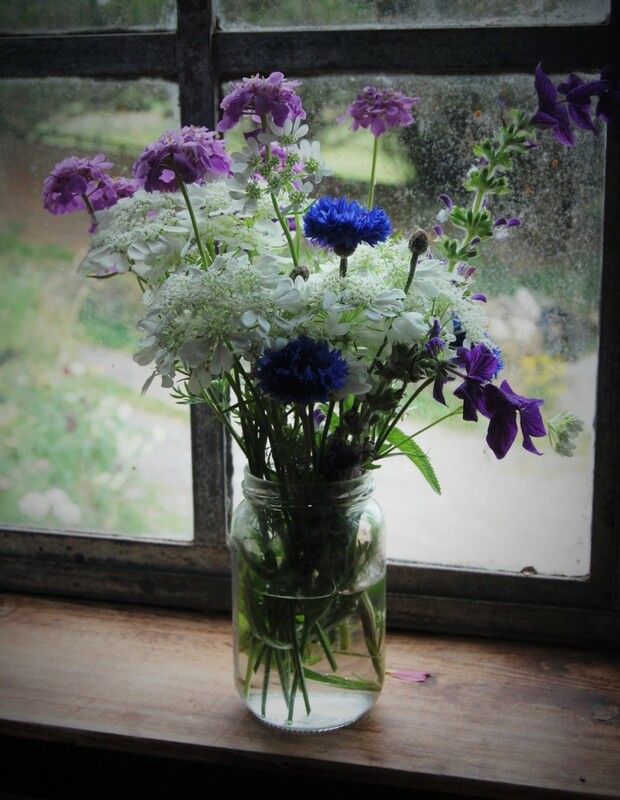 I am still very lacking in any flower arranging skills and sit firmly in the camp of rustle some stems about in a jam jar and go for the ‘rakish & relaxed’ look…simple things for simple minds and all that. 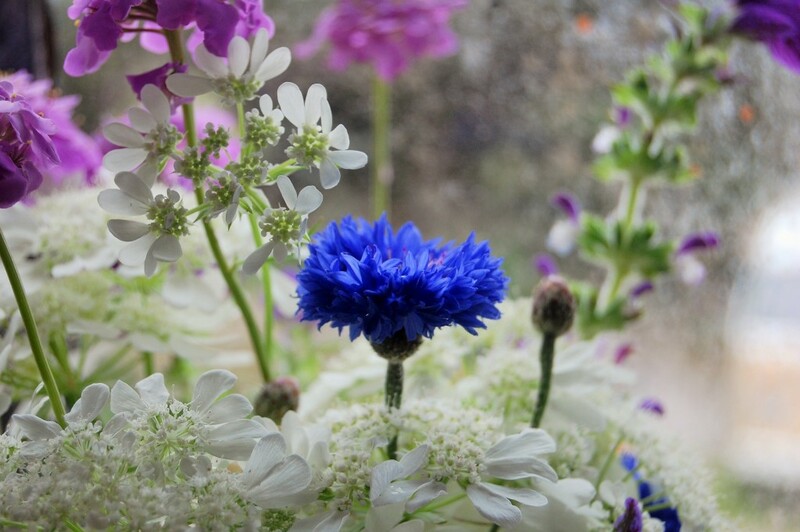 This particular jar of lackadaisical lolloping has been created using Orlaya grandiflora, Cornflower ‘Blue Ball’, Salvia ‘Blue Monday’ & Candytuft ‘Crown’. All of these chaps are annuals and are super easy to grow from seed…they are also very prolific and just keep on producing flowers. I like these cool colours hanging out together…it rather suits the weather…photographing them on the windowsill reminds me that I really must have some stiff words with my valet about his glass cleaning duties. In a couple of weeks I shall be heading up to have a lesson in hand tied bouquets from the clever folk at the Garden Gate Flower Company…then there shall be no stopping me…I will be a floral machine of wonder and industry. Sweet Pea ‘Jilly’ From A Spring Sowing. Cut Flower Garden Grown In Builder’s Buckets.